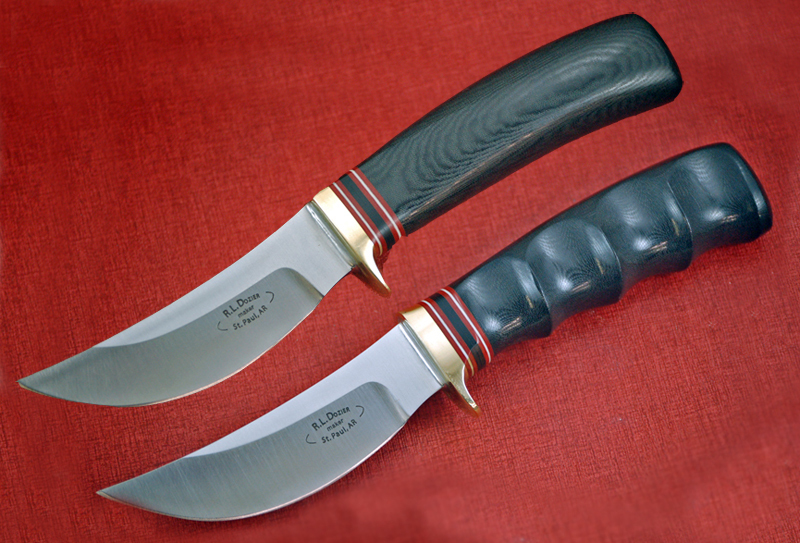 When Bob was making the Morseth knives for AG Russell he realized the benefits of a laminated blade; being able to have the performance of a very hard tool steel with the outer layers of a softer steel to increase toughness. He has always been pleased with the balance and feel of a narrow/hidden tang knife. Flash forward 20 years and he is now building his own version of those knives combining the benefits of a laminated blade with the great balance of a hidden tang to make his Dozier Sisu Line. Bob has the steel made here in the United States featuring his legendary D2 sandwiched between two 410 Stainless layers. 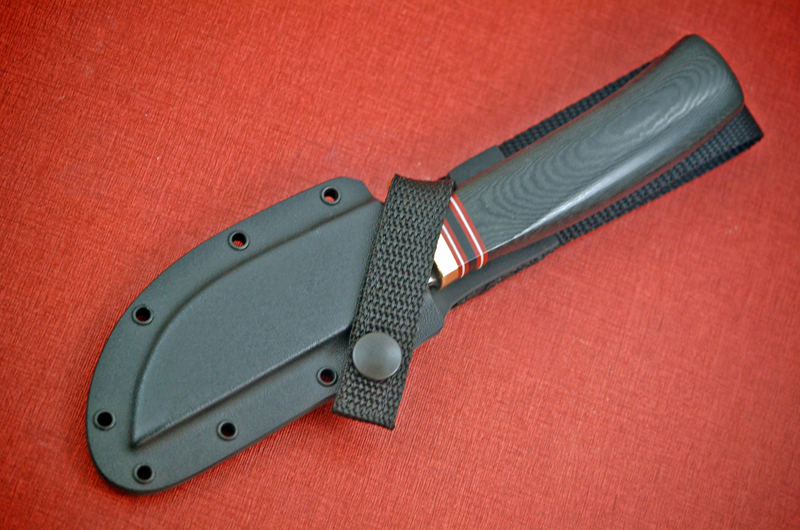 A 1/4" soldered guard is fitted to a full-length tang. The handles are secured with a brass nut and shaped to comfortably fit the hand. 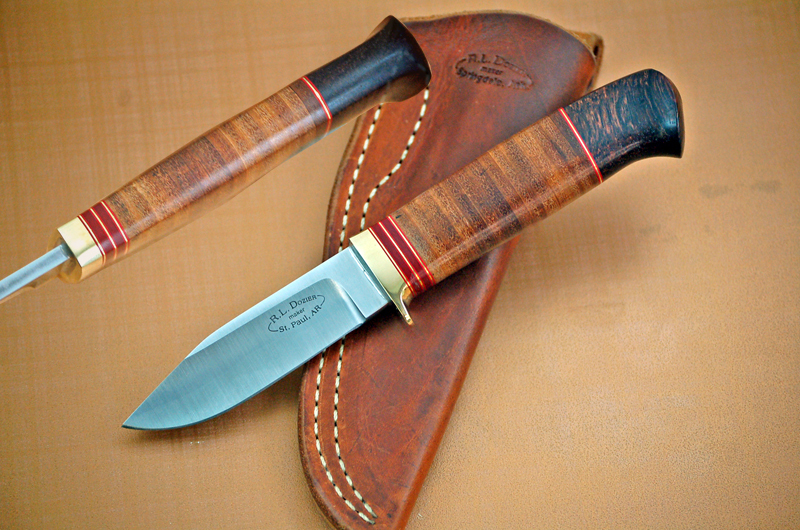 Finally Bob pairs these amazing knives with his handmade leather pouch sheath to fit each knife. The function of his sheath rivals the knife itself. 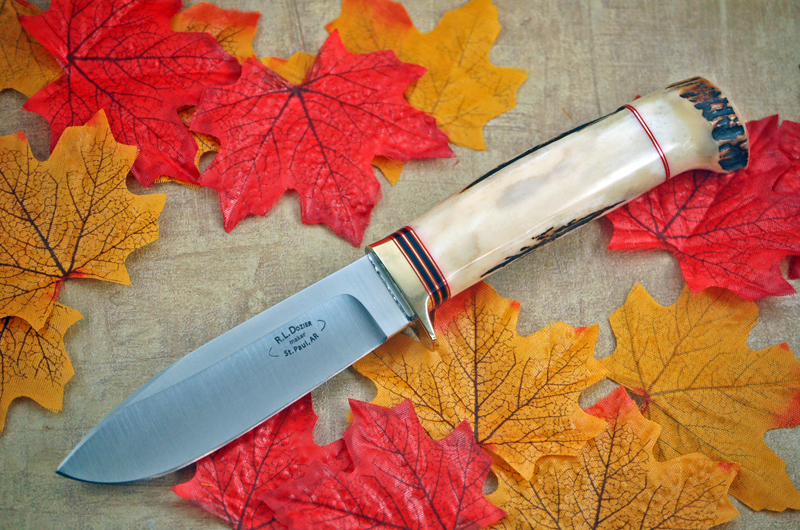 Blade Length - 4 1/8"
Handle Length - 4 3/8"
Blade Length - 3 7/8"
Handle Length - 4 1/4"
Blade Length - 4 3/8"
*NOTE: The model in the picture features 2pc Stag. 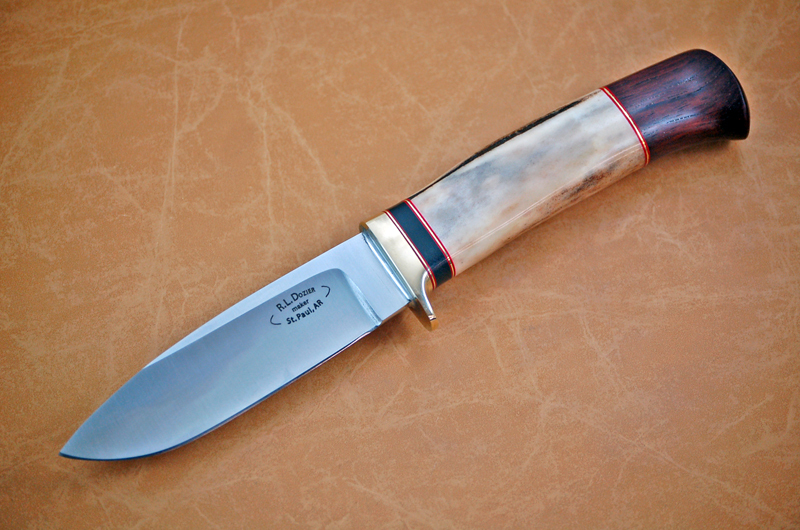 Blade Length - 3 13/16"
*NOTE: The finger grooves as featured in the bottom model are an up-charge of $10.00.